The silky-soft, golden bronze seedheads of Indiangrass lend beauty and drama to the autumn landscape. Reaching four to seven feet tall, it makes a strong late season statement. 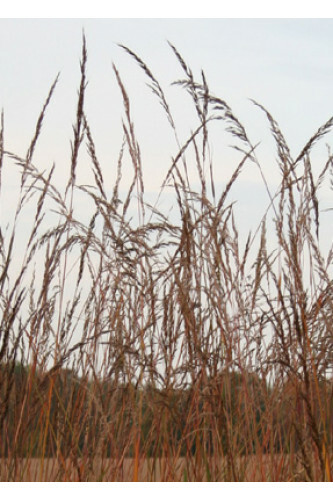 The second most important tallgrass next to Big Bluestem, Indiangrass grows rapidly and often matures in the second year after seeding. Sorghastrum nutans grows in all well-drained soils. For a solid stand of Indiangrass plant at a rate of 5.5 KG per acre.